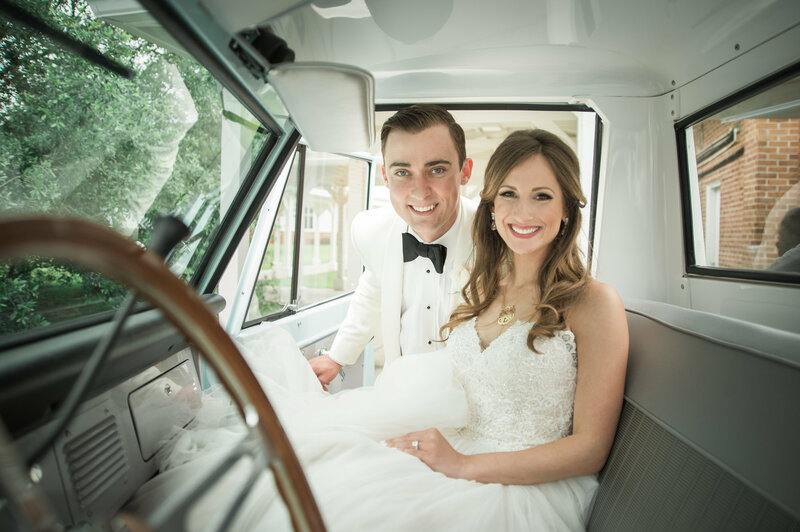 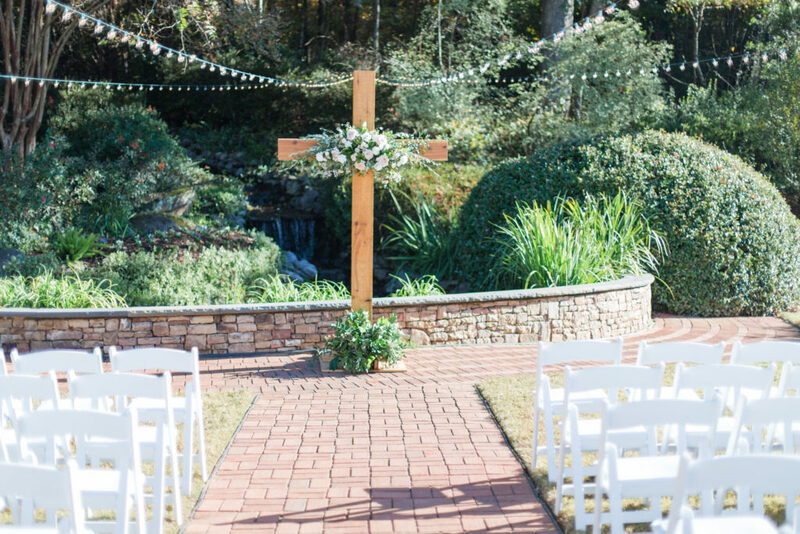 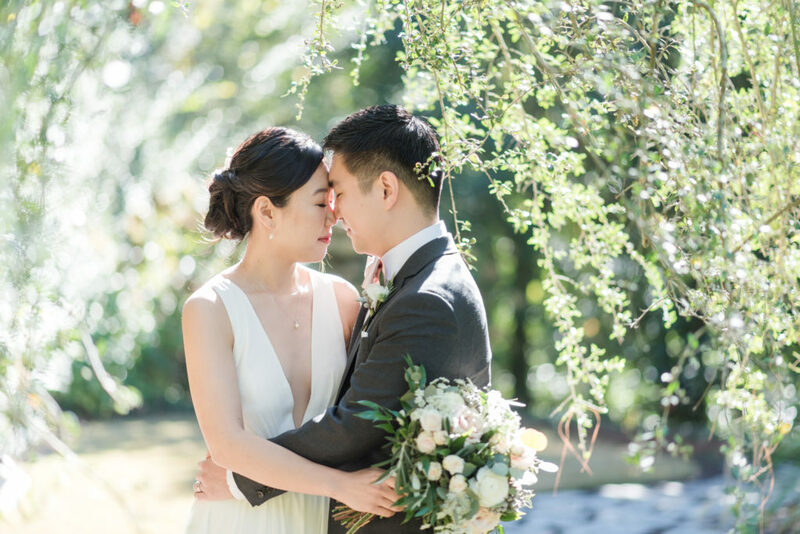 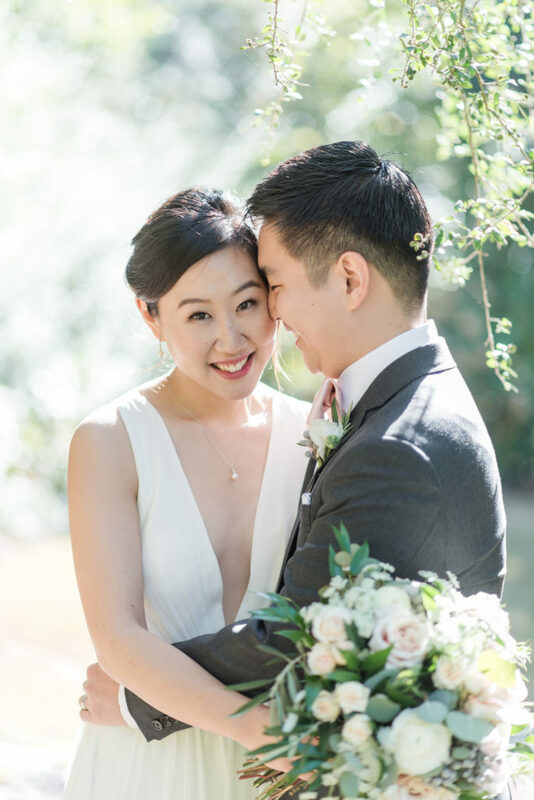 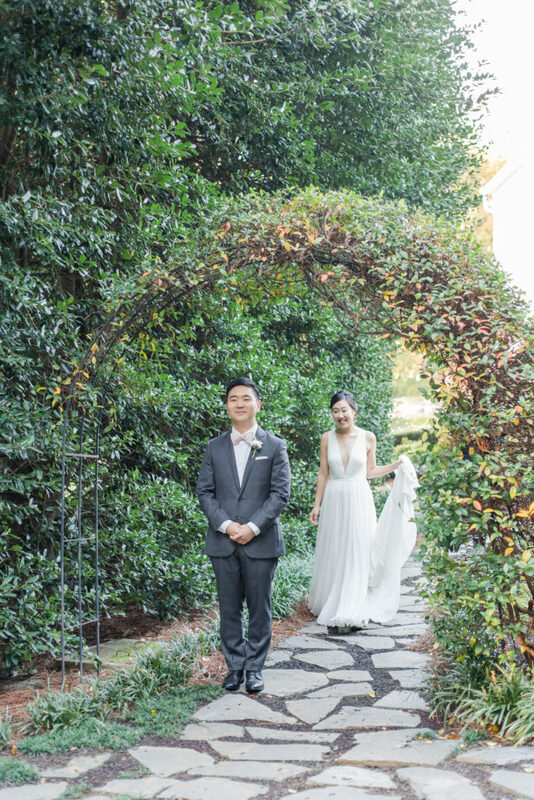 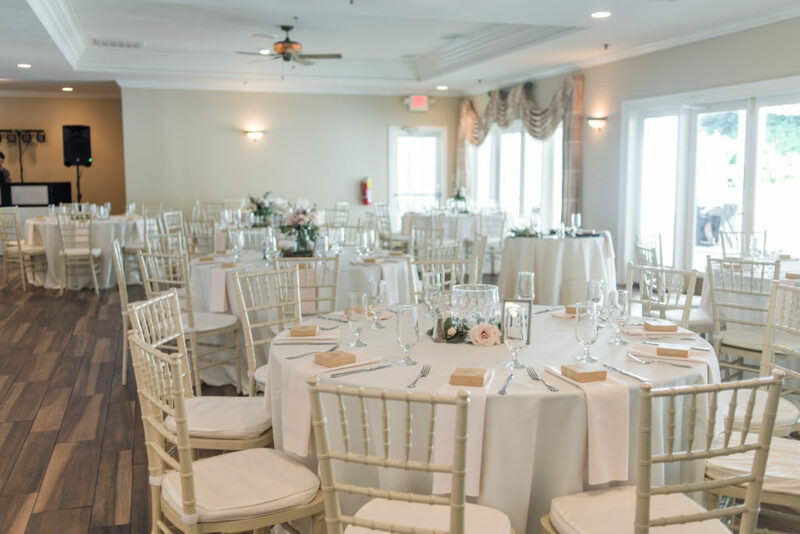 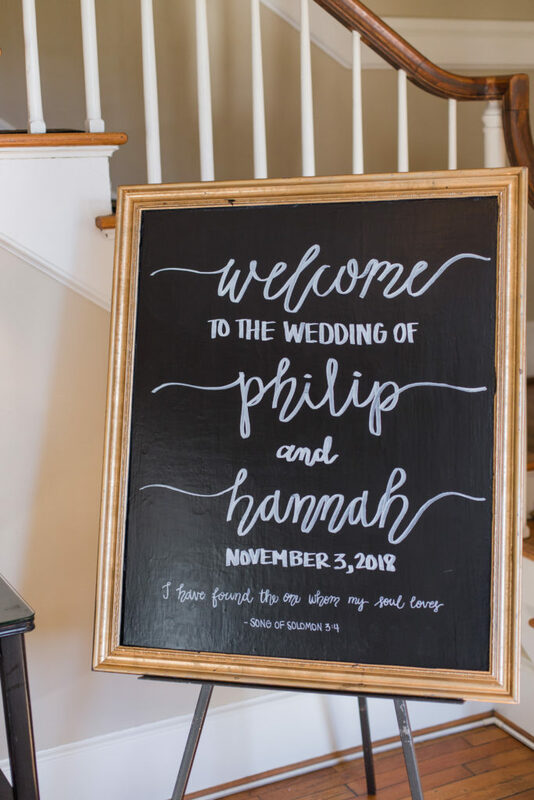 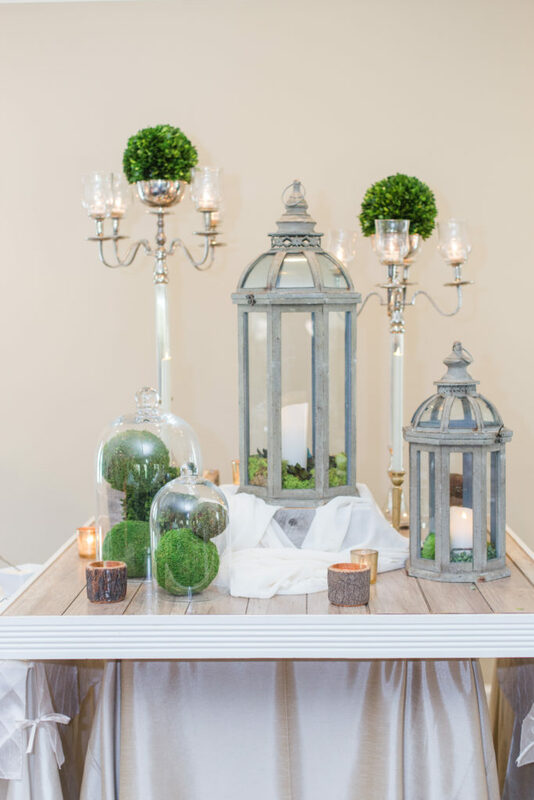 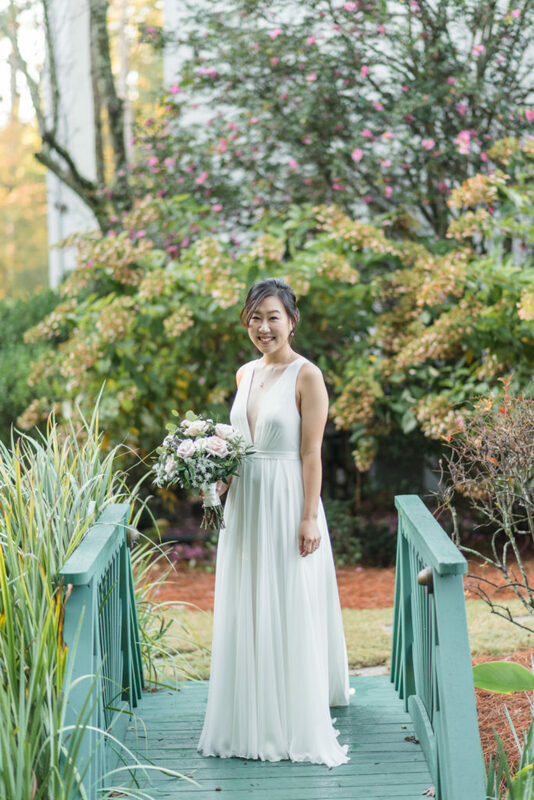 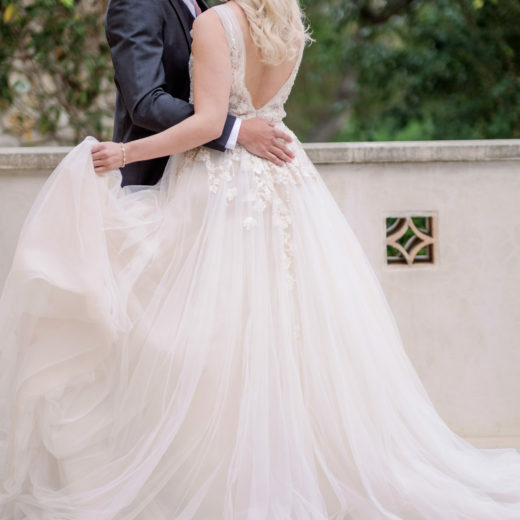 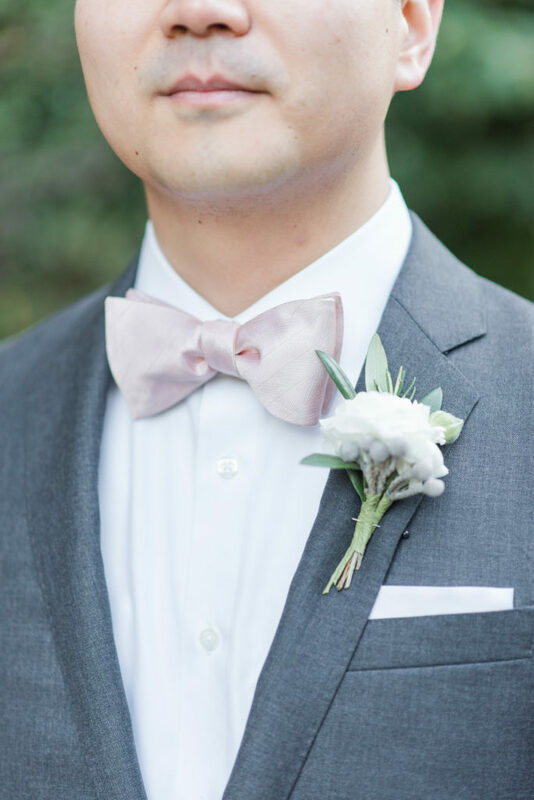 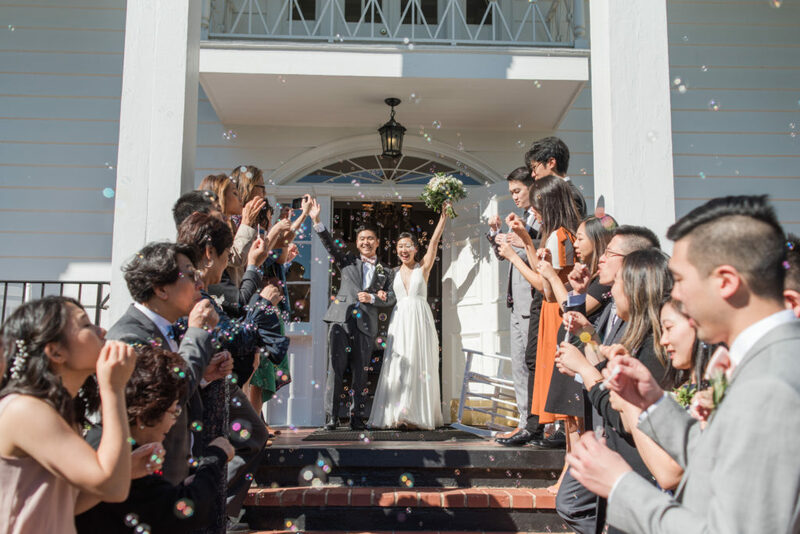 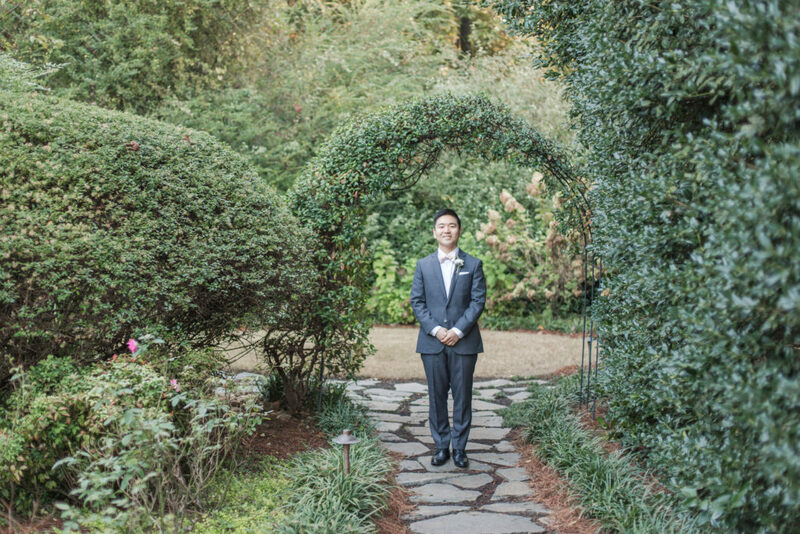 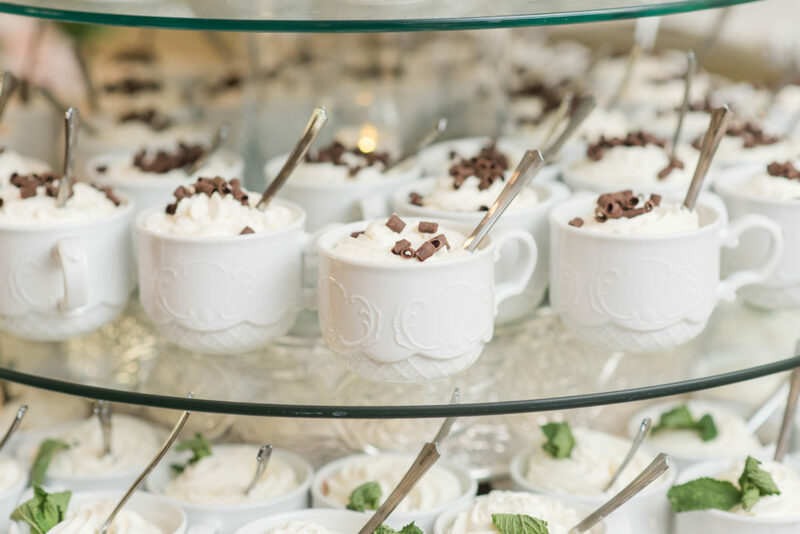 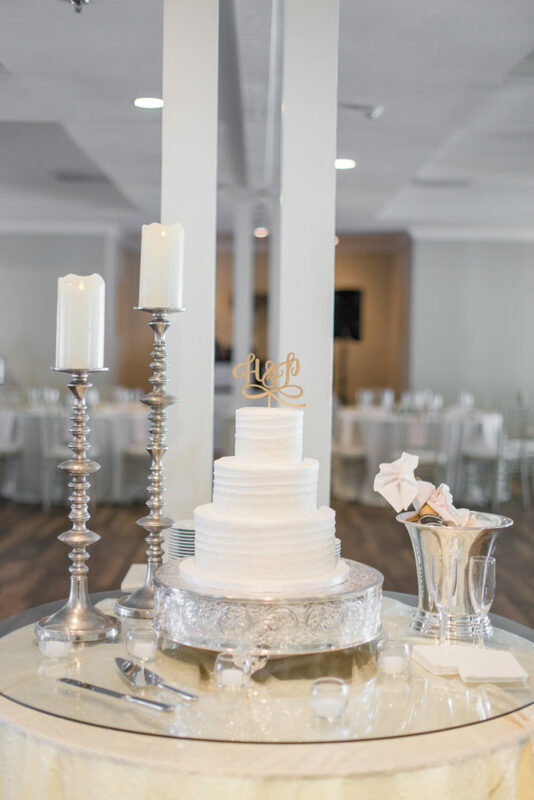 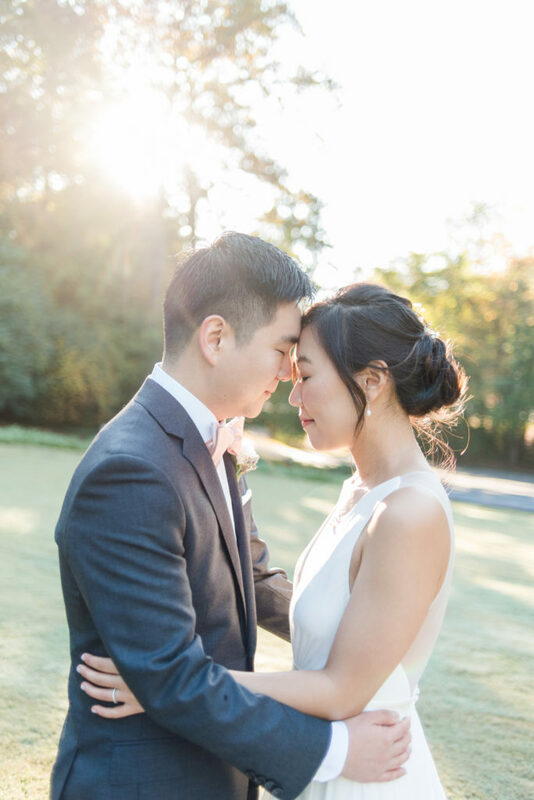 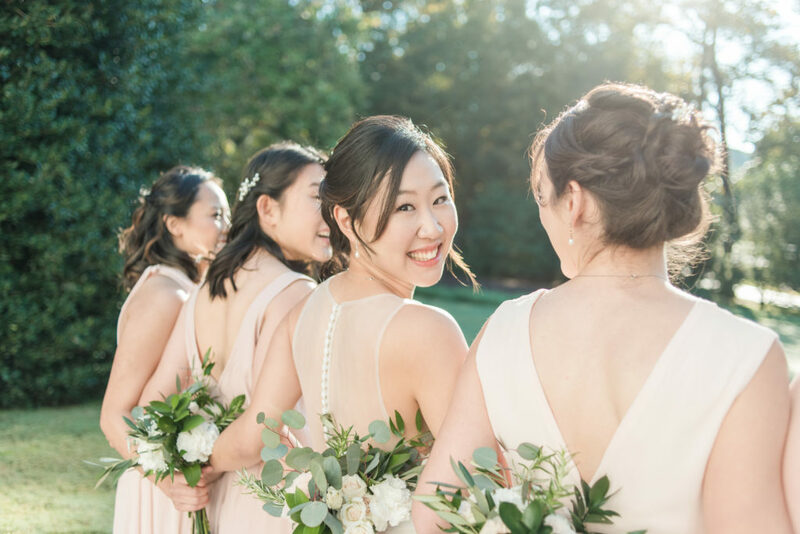 The lovely wedding of Atlanta physicians Philip Yang and Hannah Lee was held at the Little Gardens venue. 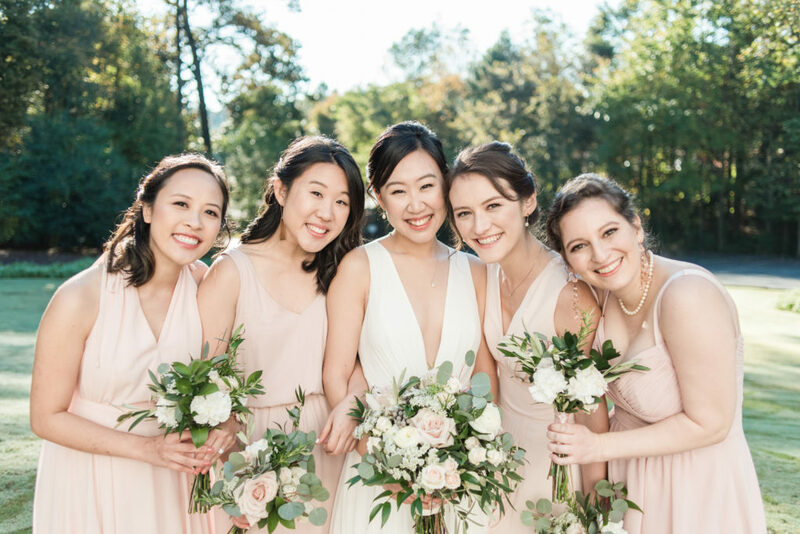 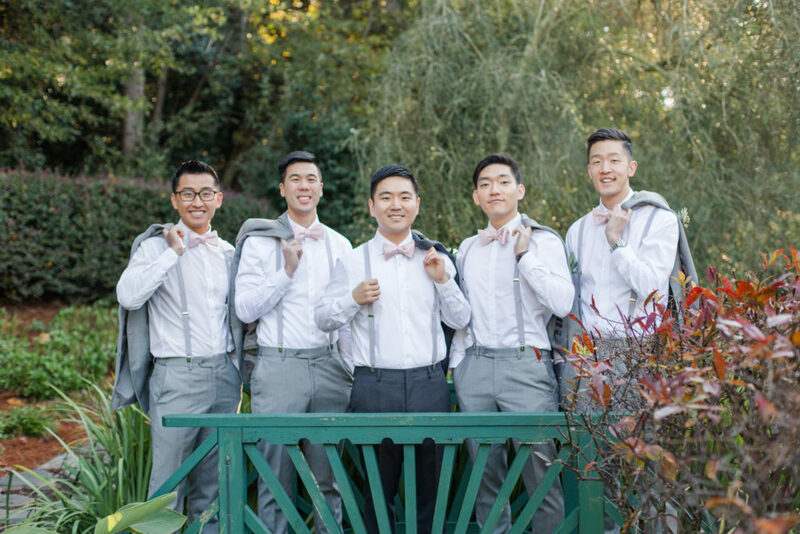 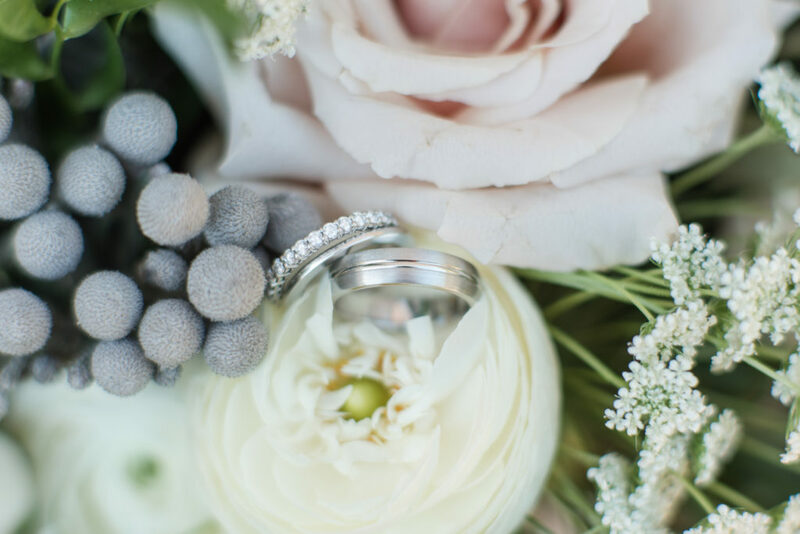 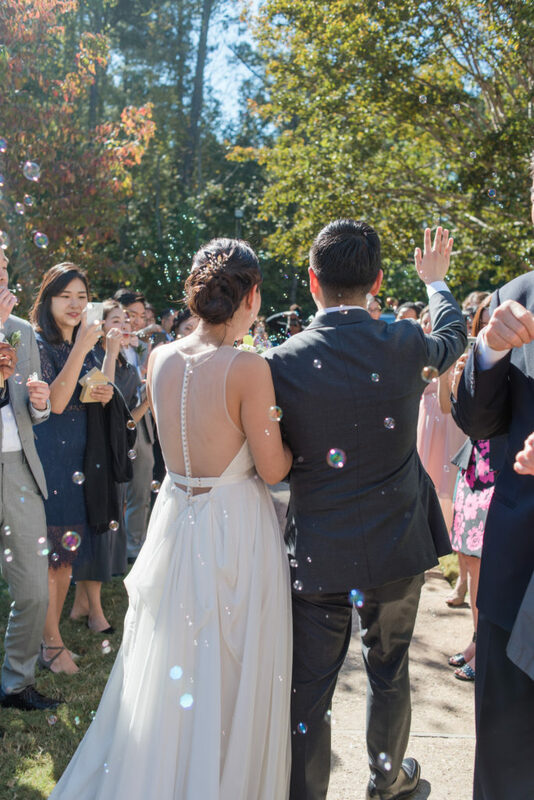 Recent transplants from Chicago, the couple had friends and family come from across the country and even South Korea to celebrate their nuptials in their new home town. 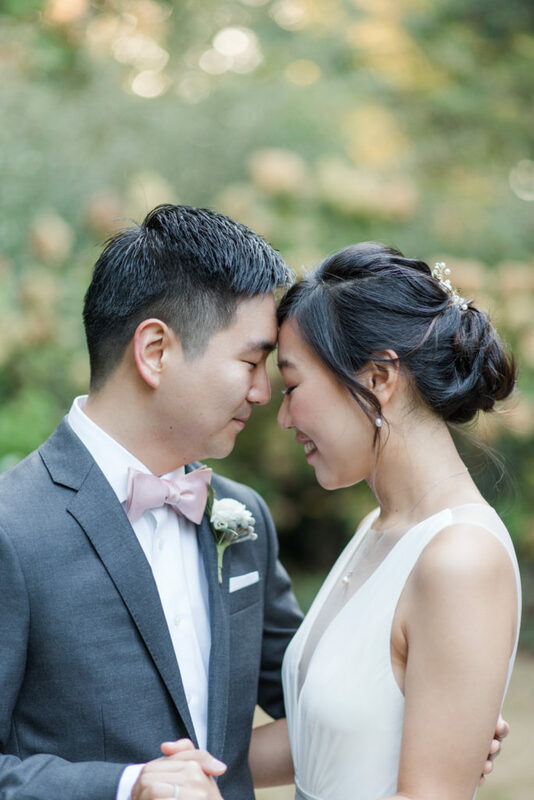 They chose classic design elements in a palette of soft pink and gray letting the beautiful garden landscape shine. 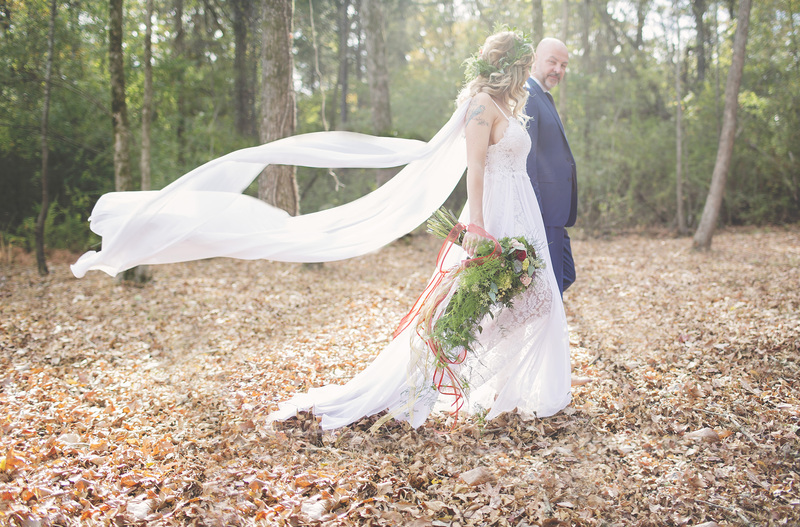 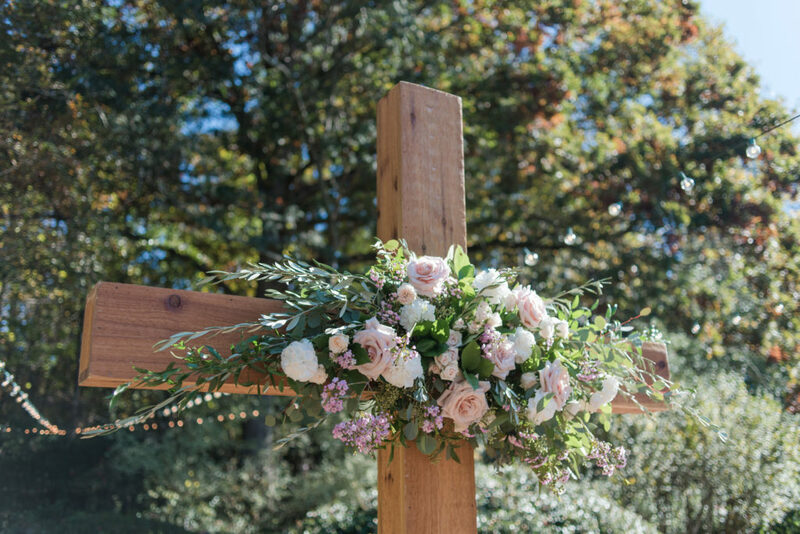 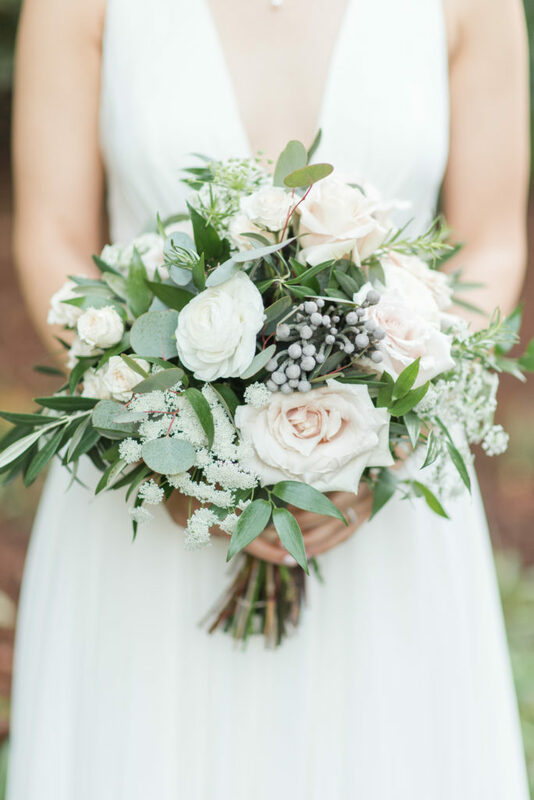 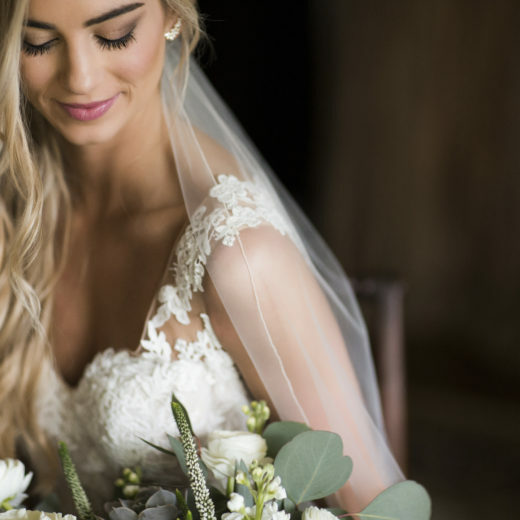 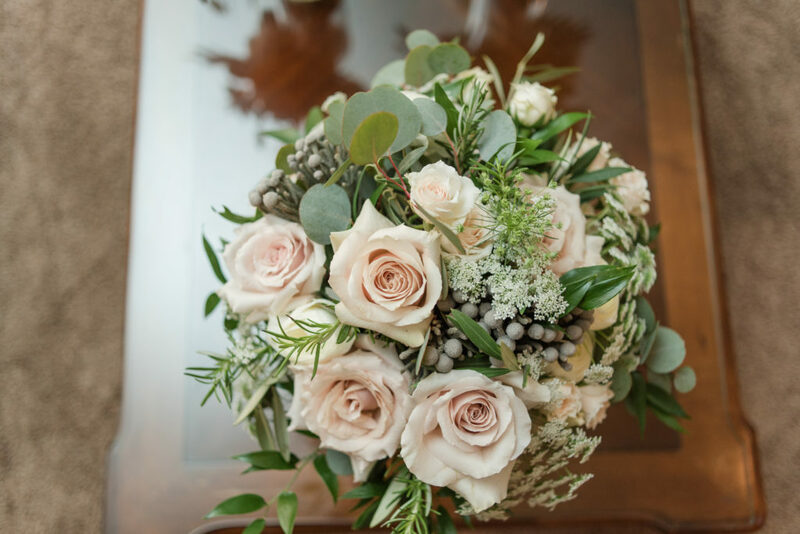 Hannah’s bouquet was full of soft pink roses which were repeated in centerpieces and in the floral spray on a large wood cross that served as their ceremony altar. 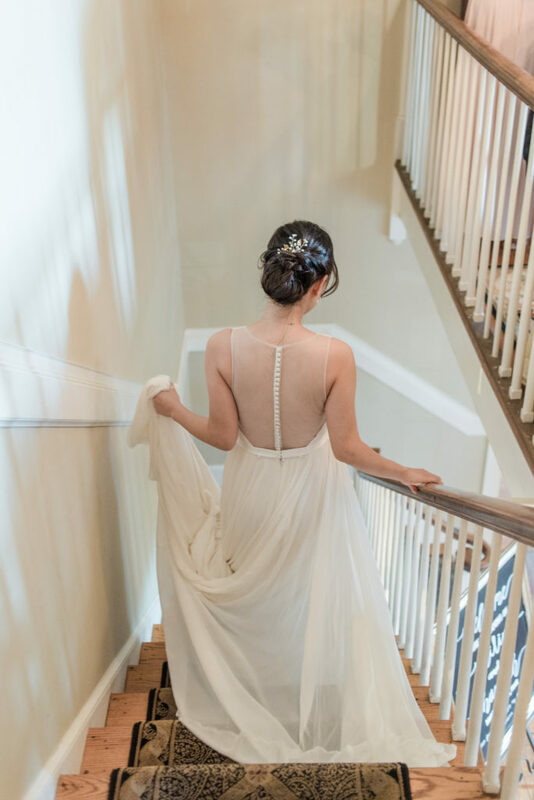 We love the illusion back of this BHLDN gown. 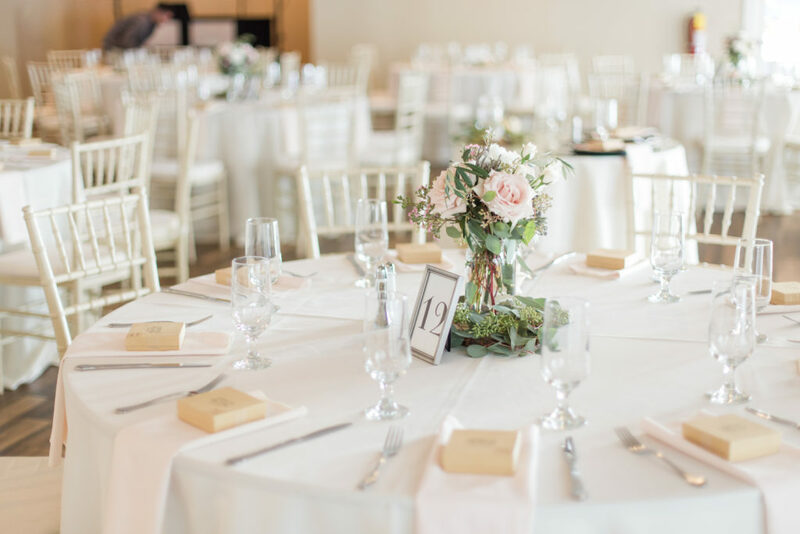 You can never go wrong with classic white. 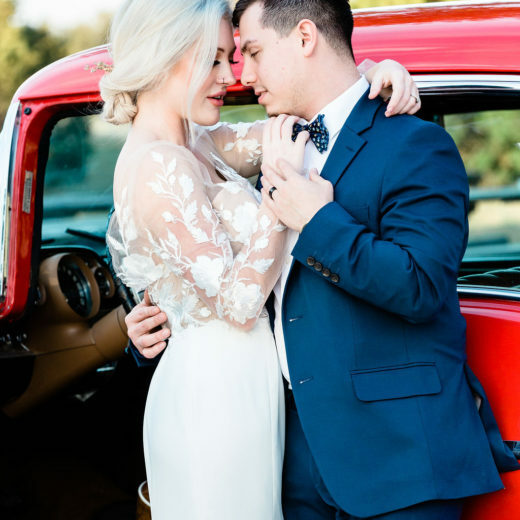 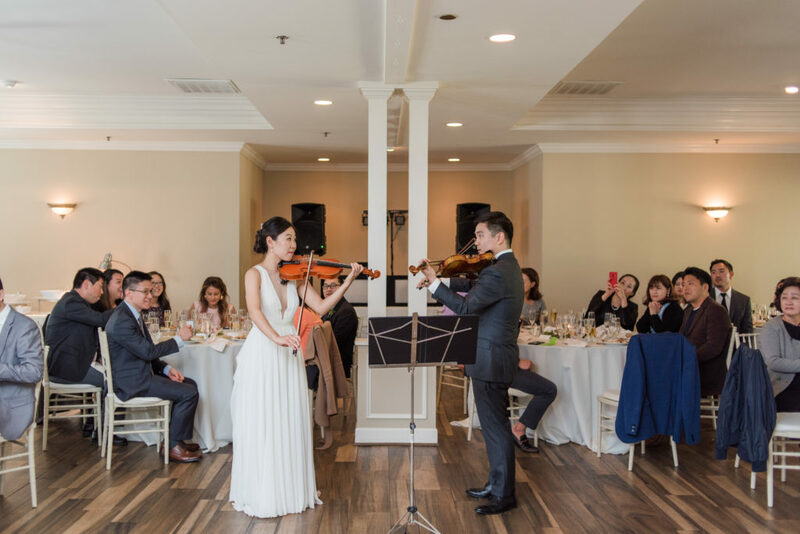 This sweet couple both played violin as children, and they performed their first duet as husband and wife for their guests. 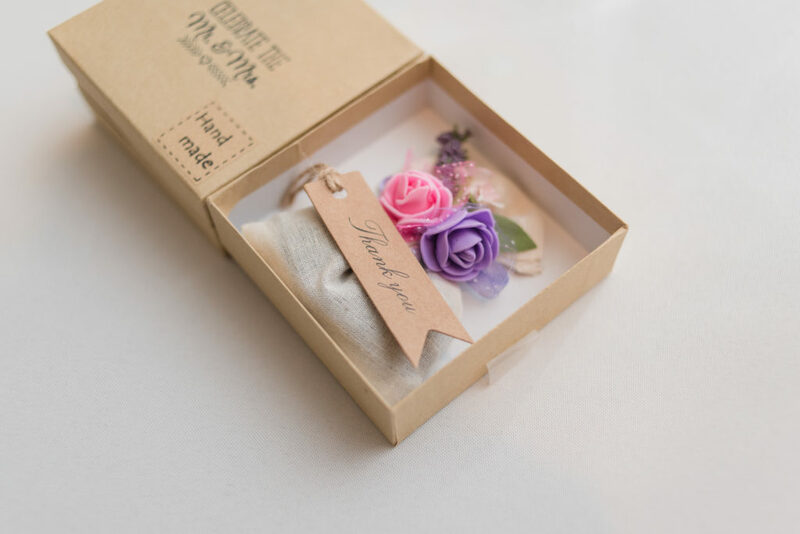 Lavender sachets were presented to guests as favors.